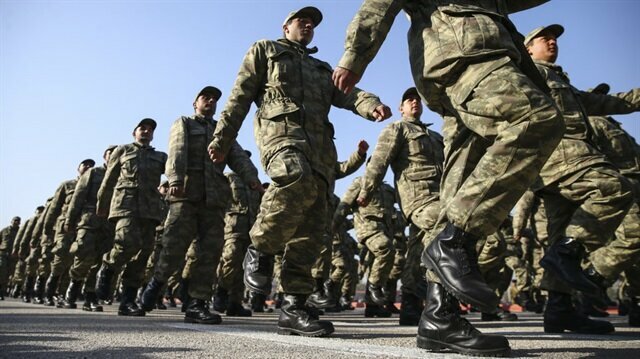 The Turkish government has outlined the terms on which it will issue the temporary opportunity for young men to pay to gain exemption from military service, Islamist newspaper Yeni Şafak said. Those who are aged over 26 will be exempted from compulsory military service if they pay 20,000 lira ($4,350) and the money will be spent on defence, the newspaper said. The law issuing the exemption will likely be passed after parliament opens in October, it added. Although Turkey’s Justice and Development Party (AKP) had initially said that it would not issue the opportunity for paid exemption, but later added it to their election pledges as the June 24 election hotted up. CumhurbaÅkanÄ± Recep Tayyip ErdoÄanâÄ±n kuracaÄÄ± ilk cumhurbaÅkanlÄ±ÄÄ± kabinesinin ilk gÃ¶revi, bedelli askerlik bekleyenlere mÃ¼jde vermek olacak. Bedelli askerlik Ã§alÄ±ÅmalarÄ± 65. HÃ¼kÃ¼met tarafÄ±ndan baÅlatÄ±ldÄ± ve neredeyse tamamlandÄ±. Bedelli askerlikte Åartlar iÃ§in 26 yaÅ ve 20 bin TL Ã¼cret Ã¶ne Ã§Ä±ktÄ±. Bedelli askerlikten elde edilecek gelir doÄrudan olarak savunmaya harcanacak.